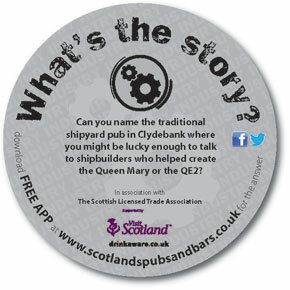 Can you name the traditional shipyard pub in Clydebank where you might be lucky enough to talk to shipbuilders who helped create the Queen Mary or the QE2? How many of our intriguing Beer Mat questions could you answer? To find out which pubs we were talking about and to discover their whole story.